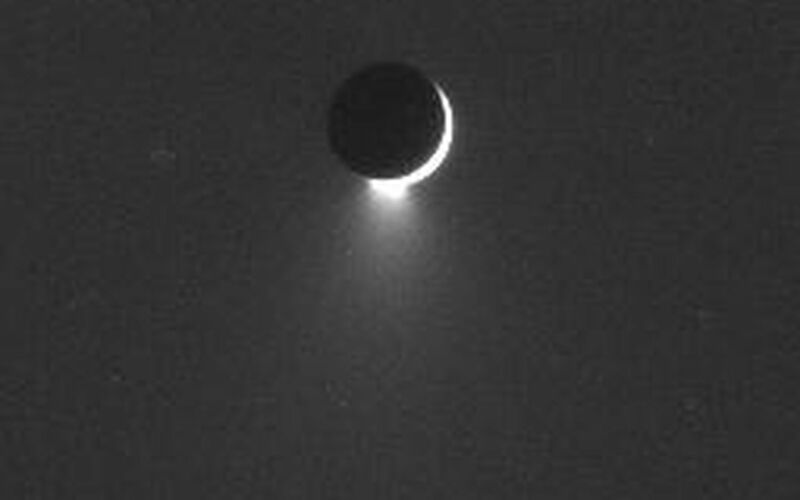 Enceladus continues to exhale water ice into Saturn orbit, keeping the E ring topped off with tiny particles. 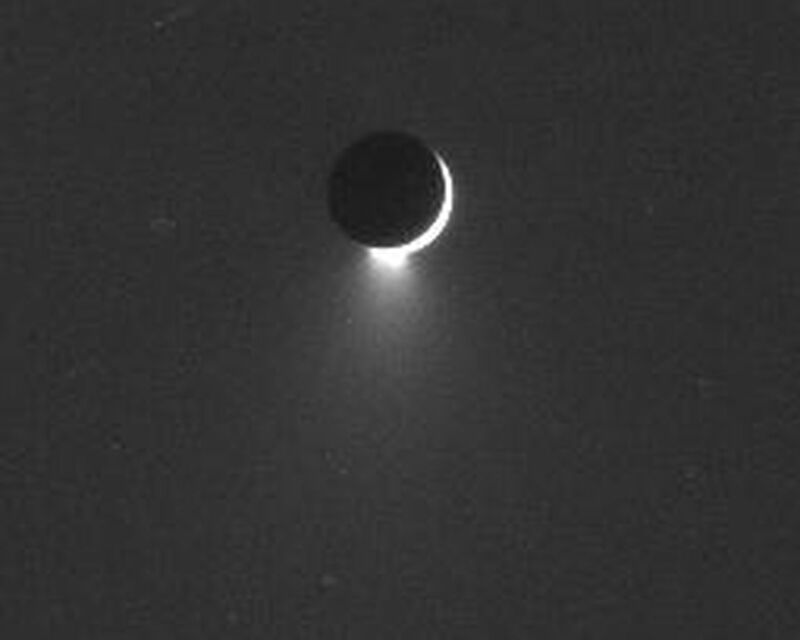 Enceladus (505 kilometers, or 314 miles across) is a source of much interest for planetary scientists, being nearly seven times smaller in diameter than Earth's own moon, yet having active geology that appears to involve near-surface liquid water. 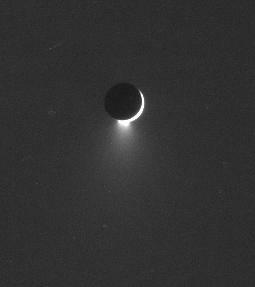 The image was taken in visible green light with the Cassini spacecraft narrow-angle camera on Aug. 11, 2006 at a distance of approximately 2.2 million kilometers (1.3 million miles) from Enceladus and at a Sun-Enceladus-spacecraft, or phase, angle of 164 degrees. Image scale is 13 kilometers (8 miles) per pixel.